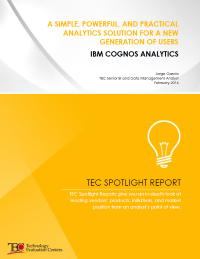 Download this report for an in-depth look at the capabilities and features of IBM Cognos Analytics. The business intelligence and analytics landscape is rapidly changing. IBM has created a new solution to address these emerging needs with a modern and effective application for analytics.